(8/10) In a nutshell: With his third try at a science fiction epic, producer George Pal finally ironed out some of the kinks that made his first two attempts fall below the mark. This adaptation of H.G. Wells’ alien invasion classic is a stunning tour de force of special effects, aided by a fast-paced script and beautiful design. The breezy plot helps to partly cover up that Pal has stripped Wells’ story of all ideology and satire, and reversed the author’s position on key issues, and Pal’s insistence on drowning his movies in schmarmy religious tirades makes for a cringe-worthy ending. Despite this, The War of the Worlds is a brilliantly entertaining nail-biter and visually a true masterpiece. 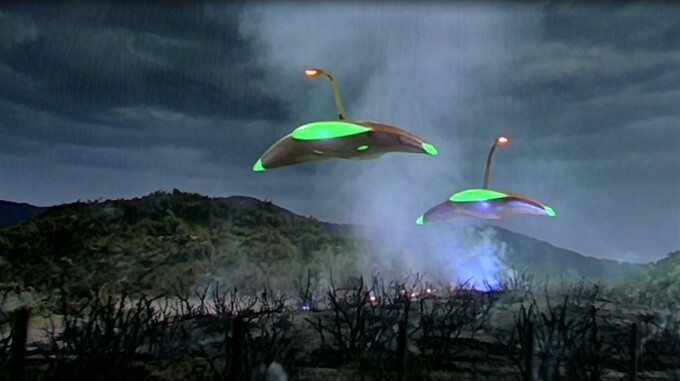 The iconic war machines of The War of the Worlds, designed by Albert Nozaki. Look closely and you see the wires. (6/10) In a nutshell: Producer George Pal returns with his second sci-fi epic in 1951, still worried about nuclear war. A crack team of scientists and entrepreneurs are mocked by the world as they prepare for doomsday as an approaching rogue sun threatens to turn the world into dust. A modern retelling of Noah’s Ark by way of rocketship, this early Hollywood space travel film stumbles on an illogical and stilted script, weak characterisations and a failure to bring the movie to a satisfying philosophical or moral conclusion. Heavy on religious imagery, but since the source novel is a retelling of a biblical story, this can be excused. A fun apocalyptic adventure, but don’t expect much depth. 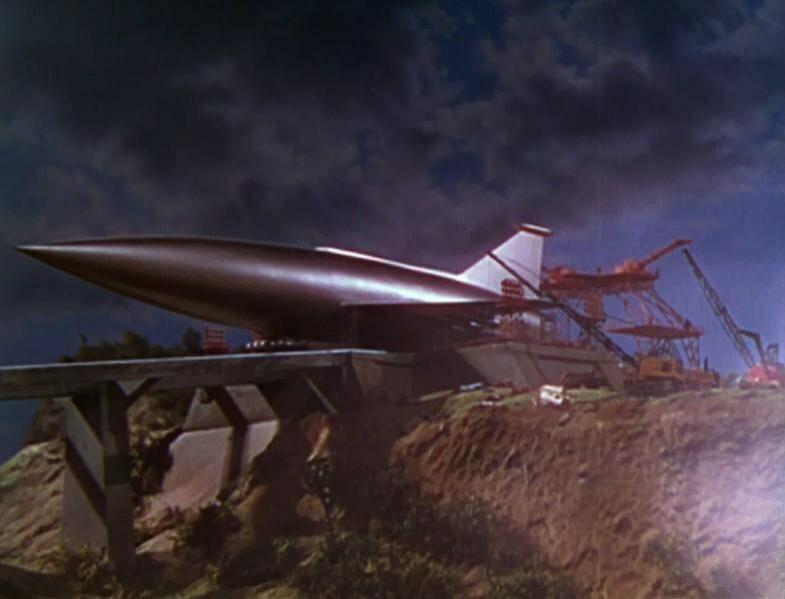 Noah’s Ark anno 1951, heavily influenced by the rocketship i George Pal’s previous film Destination Moon. (6/10) In a nutshell: The first real serious big-budget science fiction film made in the United States by the father of the fifties’ sci-fi craze, George Pal, was released in 1950. 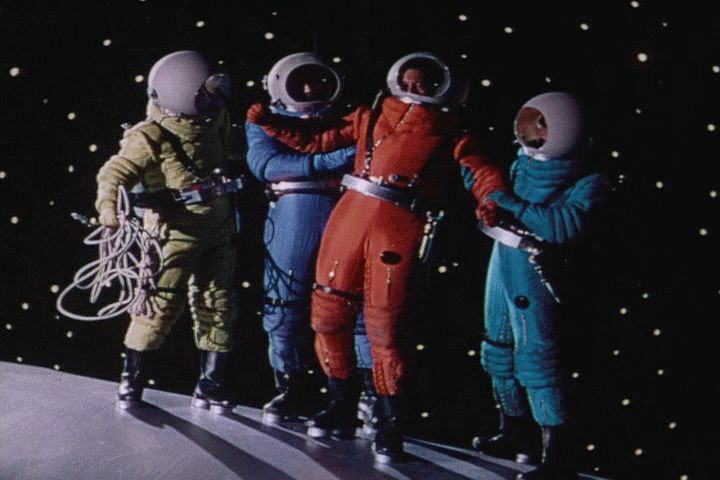 Not only sci-fi fans, but NASA, can thank this movie for boosting a national interest in outer space and for convincing many that a moon flight might actually be possible. Audiences were wowed by the vivid Technicolor photography of the moon and outer space and, disregarding blunders like the nuclear powered rocket, the science is solid. Unfortunately as a drama this is just about as exciting as reading the phone book. Taking a space walk on Destination Moon.